Arlington added more homes this spring than it has during any three-month period dating back to last summer, according to a new county report. Between April 1 and June 30, the county saw construction work wrap up on a total of 278 new homes, including 236 apartments and townhomes and 42 single-family homes. The county totaled up these latest numbers as part of a quarterly analysis of development in Arlington. That number far outpaces the 103 homes that became available over the same time period a year ago, and represents the most new homes to hit the market since the third quarter of 2017, stretching from July 1 through September 30. The county added 456 homes, including 411 in multifamily structures, during that period, according to county data. 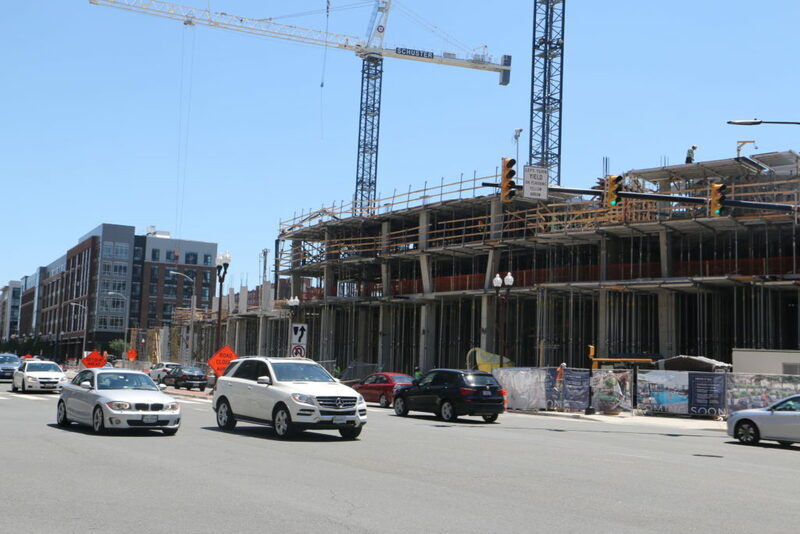 The latest spike in new homes was largely generated by the completion of the 672 Flats project on N. Glebe Road in Ballston, a project that included 173 new apartments. The Key and Nash development in Rosslyn also wrapped up work this quarter, adding 63 new condos. The completion of the Central Place project in Rosslyn accounted for the bulk of the rest of the construction to wrap up in Arlington this spring. The massive new building includes roughly 570,500 square feet of office space and roughly 11,000 square feet of retail space as well. The 672 Flats project also included 4,300 square feet of retail space underneath the new apartments. The addition of nearly 4,600 square feet of office space at 383 N. Cathedral Lane, just off S. Glebe Road, rounds out the list of projects completed this spring. The county’s data show that another 3,700 homes are currently under construction around Arlington, in addition to 910,000 square feet of office space and 334,000 square feet of retail space. During the same time last year, the county projected about 2,025 new homes on the way, with 67,500 square feet of retail and 1.4 million square feet of office space. Perhaps unsurprisingly, the bulk of the new development on the books is concentrated in Ballston and Rosslyn, with Crystal City and the Columbia Pike corridor not far behind.